A new baby and organizing go hand in hand. 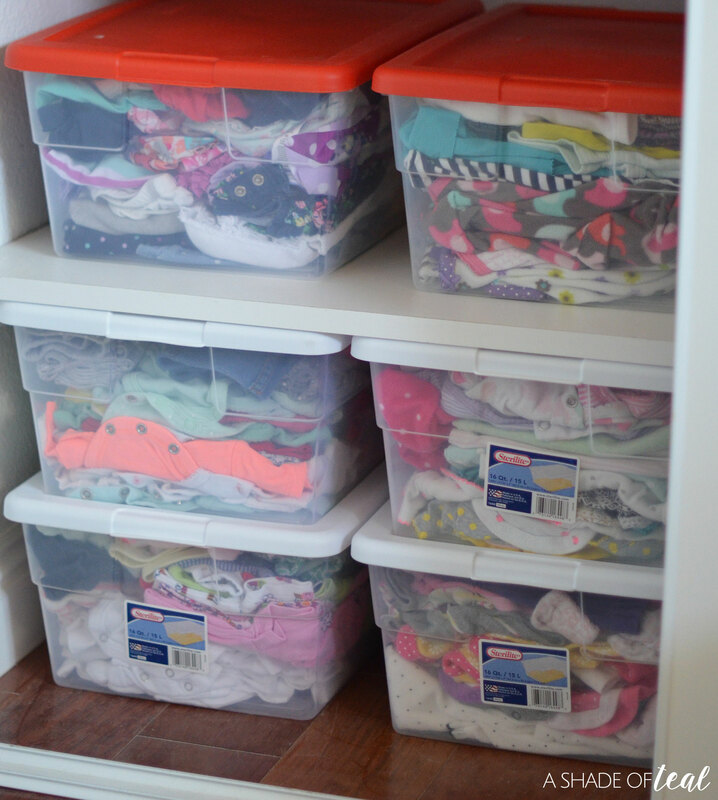 I’m always looking for new ways to stay organized since having 3 kids keeps me on my toes. There isn’t a day that goes by that I don’t pick up toys, clothes, or blankets. My kids have a special love of too many blankets! But one thing I’m not picking up is dirty diapers. That’s because I have the Diaper Genie® Complete Assembled Pail! 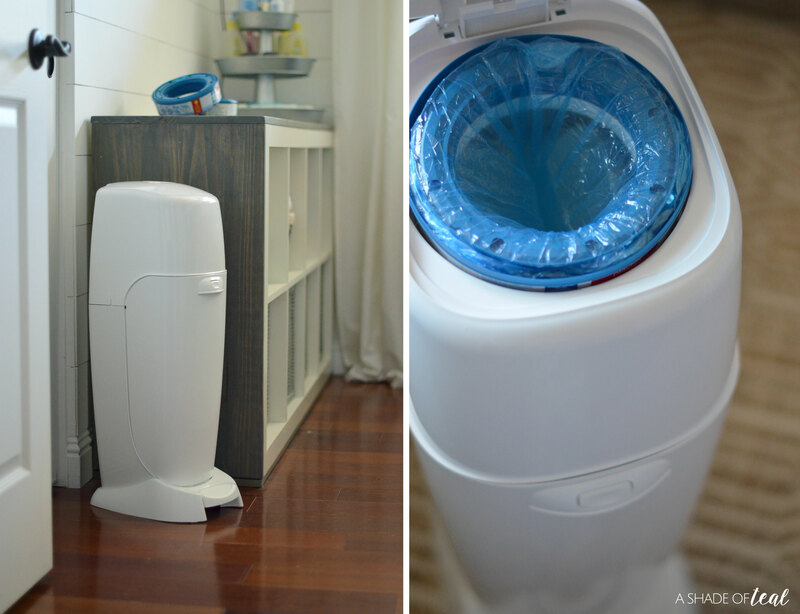 Having a Diaper Genie® has become a major essential in my home, so much so we have 2! We keep 1 upstairs in the nursery and 1 downstairs. Since I have 2 little ones in diapers I’m constantly changing them, especially my little guy who just turned 5 months. But, not only do I constantly change diapers, I also try to straighten up every day. 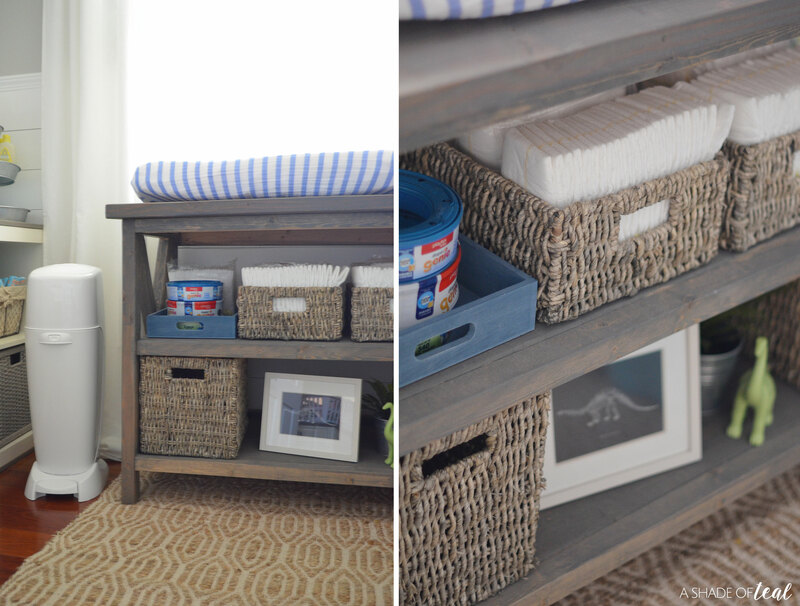 3 kids means lot’s of messes, but keeping organized has helped keep the mess under control. 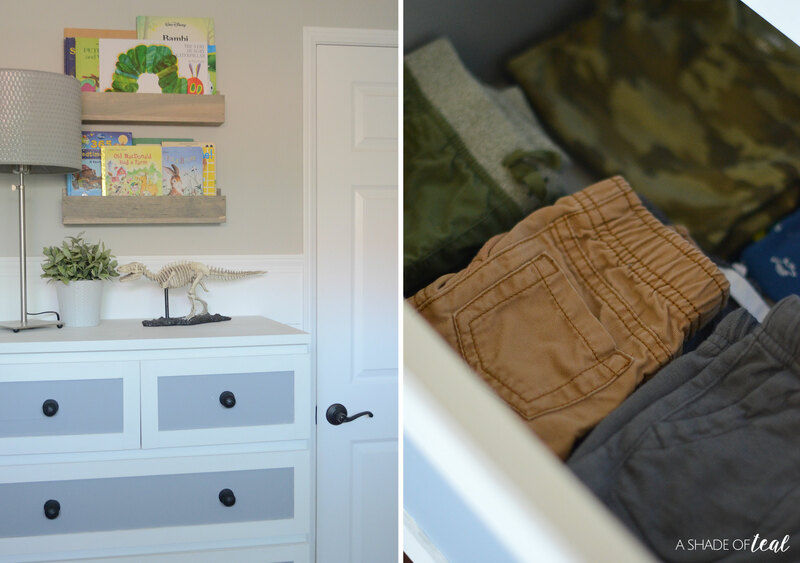 So here’s a list that has helped me; 5 Ways to Organize a Nursery! 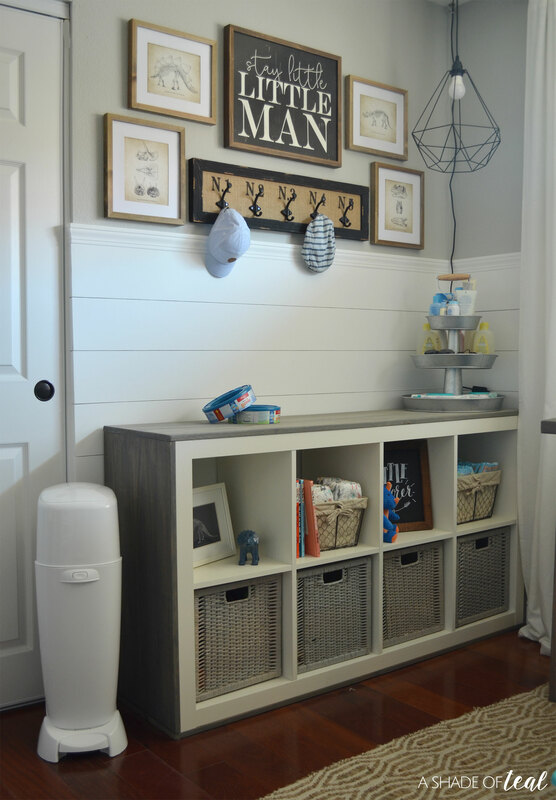 I try to always have my changing table stocked and ready with diapers, wipes, Diaper Genie® refills, and any other supplies I use on a regular basis. Having items, like diapers, unpacked makes changing time much easier. Baby clothes can become overwhelming, especially when you have 2 kids in different sizes. I try to organize their clothes by size and I prefer to only have their current size in the dresser. So anything that’s too big for them I store separately. Having a place to throw toys, books, and even extra diapers in is a must. 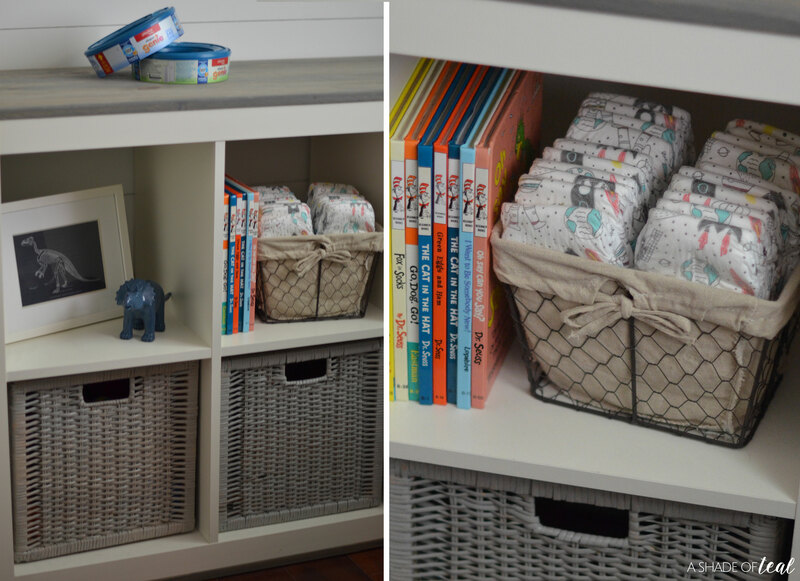 I love having open storage where you can see the organization, but sometimes easy ways to hide the extra clutter keeps a Nursery looking clean. When it comes to a Nursery, 1 item you don’t want to skip on is the Diaper Genie® Complete Assembled Pail! 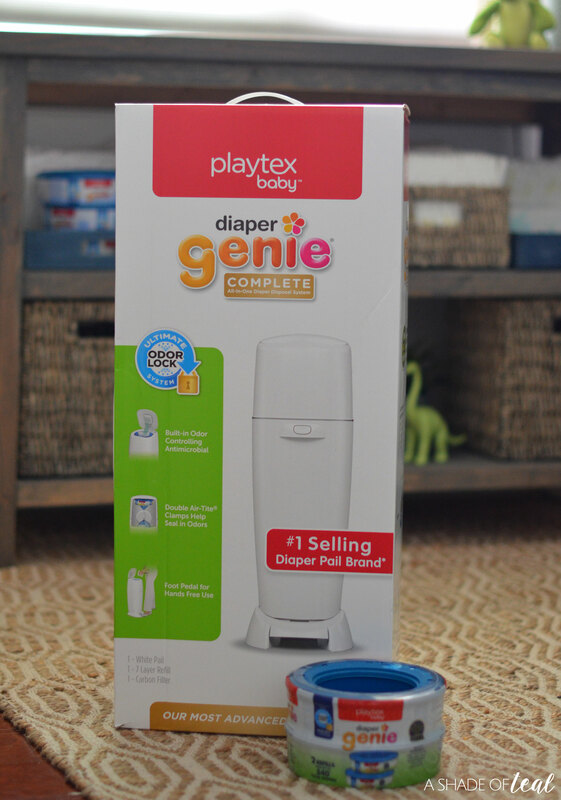 Convenience is everything with a new baby and with the easy to use Diaper Genie I can throw dirty diapers away while still holding my baby. Plus, Diaper Genie pails are equipped with the ultimate odor lock protection. It contains a carbon filter to absorb and lock in strong odors as well as the 7-layer refill bag locks in odors. 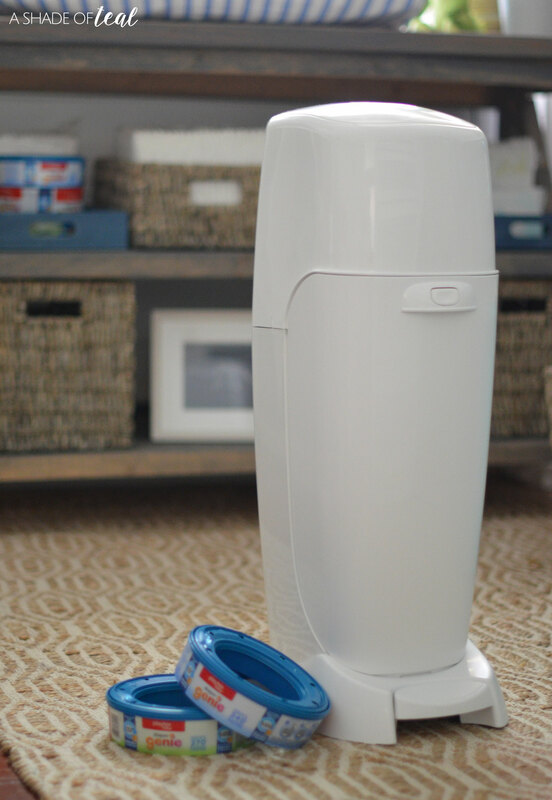 My favorite part, is that you can purchase the Diaper Genie® in different colors to suit your nursery style, find those options at Target HERE. Ever since I had my first daughter I stored her old clothes in storage bins by size. I’m glad I did this because when my second daughter came along I could easily pull out the bins based on when she was ready for a particular size. This is also helpful to store clothes that are way too big still. So next time you’re in the Baby Aisle’s of Target, make sure to pickup a new Diaper Genie® along with the refill packs. If you’re like me then you’re probably at Target more than you would like to admit! It is the ultimate baby destination these days! Plus, for a limited time at Target, Receive a Free $5 Target GiftCard with the purchase of any Diaper Genie product, starting 7/8 – 7/14/18. Click the badge below to learn more! 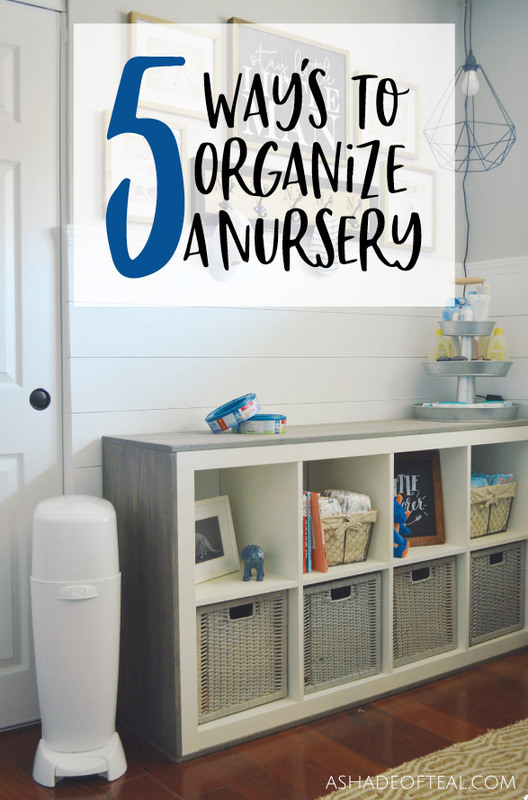 What other ways do you organize you’re Nursery? 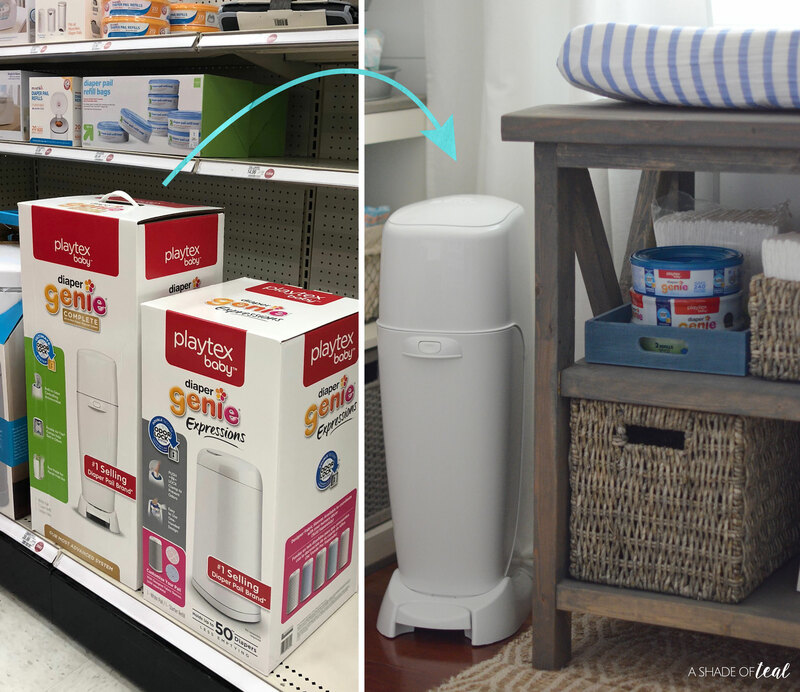 Don’t forget to purchase the Diaper Genie System at Target! Such a brief article on organizing nursery. I really appreciate all the tips & ways. Really worth to consider and follow. Thanks for sharing.